I'm kinda working on a series of caring for natural hair to help us attain our goals for healthy natural hair with added bonus of length, shine and thickness. I started from the top with developing regimens for busy naturals with teeny weeny fros, in between length/medium length hair and for longer hair (shoulder length to tail bone length). The regimen was designed to help naturalistas to kinda do the least and get the most out of your hair. In summary, the regimen covered shampooing, conditioning, daily moisturising and styling over the course of a month. It did not include the one thousand and one treatments for natural haircare. If you're a naturalista with lots of time on her side, you can include pre shampoo and post shampoo treatments. With the right handling and care of your natural hair, you may not have the problems of excessive breakage, shedding, dandruff and whatever other problems associated with hair. However, due to changes in weather, water hardness, products and generally because our systems enjoy surprising us once in a while, it's useful to have one or two treatments to kind of reset your hair to default. If you're following the regimen, I usually advice that different treatments be included at least once a month in your routine. The question is what treatments do I do for what problems? Here's a summary. What can I do if my hair feels dry no matter how consistent I am with moisturising? What do I do if I experience unnecessary shedding and breakage despite my healthy diet and care I take during detangling and styling? Here are some suggested natural hair troubleshooting links. - If your hair is fine and breaks easily, here are treatments you can do once a month to keep make it stonger. - Wrong detangling methods can lead to unnecessary pain and breakage. To make things easier, try to prevent tangles from happening in the first place and maybe try switching over to fingerdetangling. Here's how to fingerdetangle right. - Still having moisturising issues, it will be good add moisturising deep conditioning treatments into your washday as often as you can and follow up with daily moisturising. You can also do the green house treatment midweek to prevent loss of moisture. Please let me know if you have any more concerns that hasn't been dealt with and if you have any tips and tricks, please to feel free to share. I'll be sharing a simple regimen for naturalistas with long hair. You've passed the teeny weeny afro stage, weathered the storm of the in between to midlength stage and now your kinks are approaching bra strap to waist length and beyond! Everyone thinks you have it easy. With long natural hair you can rock any style, try any colour, rock a big bad fro and lots of things people view as impossible with other lengths. You've reached the nirvana of natural hair, right? - Longer styling time (good work out for the arms, though), so most times you just bun up and go. - More dryness....the sound of a bowl of cornflakes and the sound your hair makes when you touch it are in perfect harmony! If this is you, I hear ya! At this stage, it's time to concentrate on your midlength and ends. Those babies are old and need a lot of TLC. Your hair products and your methods will have to change. Once you were switching up your styles and color like a chameleon, now ....er..not so much. Once you were excited to check your length retention by heat straightening, now...those babies need a vacay. It's also time to get a professional trim to get rid of raggedy ends. It's time to invest in good quality haircare products and combs. No more trying out every and any product you can lay your hands on...your aged hair can only take so much! It's useful to check out product reviews. Look for the words moisturising and strengthening. - Sulfate free shampoo with moisturising properties. - A big vat of conditioner...I'm talking family, salon quantity sizes cos your hair will be eating this up. The more slip it has, the better. - A creamy leave in conditioner. The creamier and more moisturising, the better. Infact, this is where you should splurge without guilt. - A moisturising deep conditioning masque....emphasis on masque. - Two types of oils....one with strengthening properties and another for sealing. If you find one that does both jobs, better! - A styler . Most stylers at this stage will be drying to the length of your hair. Creamy stylers are preferable to foam stylers. Gels should be limited to taming edges. This week should start your washday and it should be on a day when you are free so you don't rush the process and damage your hair. Let's assume your weekend starts on Saturday. On Friday night, apply your strengthening oil (e.g coconut oil, palm kernel oil) to damp hair. Leave overnight. This will serve as your prepoo step. You can also decide to do an overnight henna treatment. The next day, layer on your conditioner and detangle from tips to roots. (In my experience, detangling longer natural hair dry with just a conditioner reduces breakage....it's not a rule though...do what works best for you. You've come far enough to know). You can fingerdetangle or use a shower comb. Invest in good quality wide tooth combs...trust me, it makes a difference. Twist each detangled section. ( I prefer twists to braids because it's easier to take each one out for thorough rinsing and redo). Apply shampoo to scalp alone, lather and rinse. The run off should cleanse the length of hair without stripping. Apply deep conditioner to hair alone and leave on for recommended time. Then rinse. You can also do a final rinse using dilute Apple Cider Vinegar ( 1:3 part water), tea rinse or baking soda rinse. Blot dry. Apply leave in conditioner, seal with oil and style to stretch. Once dry, style as desired. Get ready to take down style to prepare for the wash week. Again, this regimen is more of a guide than a rule. Adjust as much as you can depending on your time schedule and hair type. I usually advocate once a month shampoo and weekly cowash because I believe the less you do to your hair, the less mechanical damage you inflict on it. The above regimen is designed for naturals who style their hair without extensions. I'll write and extensive post for caring for your natural hair with extensions. So, here ends my series on Natural Hair Regimens. Next series will be Troubleshooting for natural hair issues. Feel free to ask questions you'll like have answered in the next post. If you have suggestions to developing a hair regimen that worked for you and your hair, please don't hesitate to share...I really don't know it all o! In my last post, I shared a simple regimen for the busy naturalista with the teeny weeny fro. Today, I'll share a simple regimen for the naturalista with 'in between' length to medium length natural hair. If this model describes your current state of affairs, you are not alone. We all long for the big bad fro and having hair down the back of our knees but the reality of the matter is you'll just have more hair to deal with and if you can go through this stage where your hair is having a mid life crisis or should I say, mid length crisis, then you're well qualified to handle that long, thick mass of hair you've always dreamt about. What's a naturalista to do? At this stage, you have three points to focus on. If you've got moisture control and damage control covered, you've also got length retention. Here's a simple regimen to make this happen. As usual, I recommend that washdays take place on your free days ... Friday, Saturday or Sunday...which ever you prefer. - Let this week start your main wash day. Begin with a protein treatment. It helps reinforce your hair and prevents breakage. You can do this before you shampoo your hair or after you shampoo your hair depending on which your hair prefers. (Try both out to see which one you like). Leave the treatment in for 30 mins, then rinse off. - Apply a conditioner, rinse out, blot dry, apply leave in to damp hair, twist to stretch then style. Stretching your hair makes it easier to style and reduces tangles. Here are other methods of stretching your hair. - Once your hair is stretched and dry, you can proceed to styling. For styling, I'd suggest hairstyles that'll last you two weeks or three. Suggestions include crochet braids, cornrows, chunky twists, rod sets, and weaves/wigs. 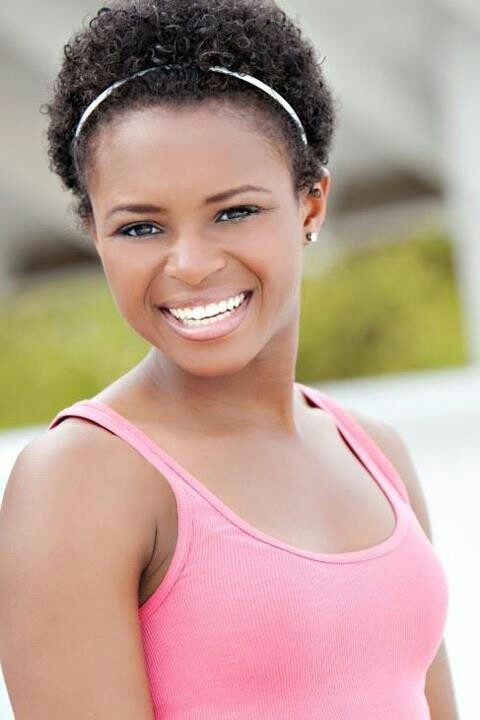 If you're partial to leaving your hair out, you can try mini twists which will yield well defined twist outs later. - Within the week, moisturise edges and ends especially with a leave in and seal with oil if needed. Week 2: Daily moisturising and satin bonnet for night. Week 3: Daily moisturising and if on minitwists, it's time to take it out for neat, defined twistouts. Don't fluff. It will get fuller as the days go by. Week 4: Get ready for takedown. Deep condition hair (apply conditioner mixed with oil of choice or you can purchase a deep conditioner. Leave overnight and proceed to wash day as week 1. Feel free to try out new hairstyles but I suggest you do so during the holidays or weekends if you're a working person just in case it's a fail. There's absolutely no excuse taking a failed hairstyle to work and then complain that it was not well received because you are natural. It was simply not received because your style didn't look good. I know you may be bored with all things twists, extensions and would really like to rock all those gorgeous hairstyles you see on YouTube but the truth is without practice, those styles can be time consuming. You really need to take time out to make it look good. You don't have to be a style aficionado though, sometimes all you need to master are three hairstyles. - One hairstyle for special events. You can add more if you like but these three are enough. Next post will be natural hair regimens for naturalistas with long hair. Feel free to comment, ask questions, make suggestions....all are welcome. For you and you and you and YOU....2015 is going to be an awesomtastic year!!!! Whatever stuff didn't work out last year....it's sooo last year...leave it in the past, John! It's going to work out this time! I'm really optimistic about this year and I do hope I'm infecting someone! Before I fully start rambling about this year, I really want to say a big THANK GOD!!! Blogging for almost 3 years no be beans o! I want to say THANK YOU to all readers, followers , commentators , sponsors and lovers of everything NappilyNigerianGirl...blog, twitter, Facebook and Instagram! You guys inspire me to keep blabbing about all things hair without feeling like I'm shallow...lol! We really have to organise a national Nigerian hair and beauty bloggers meetup!